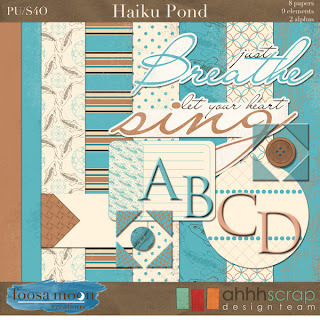 The final piece of the Haiku collection is here! The great Springtime, almost Summery, weather is still hanging around here...to the point where there are already wildfires burning not too far away. I turned the sprinklers on for the first time today, and have someone schedule to aerate the lawn later next week. Lots of new growth on the bushes, and soon everything will be green again! I also still have company here, so can't spend too much time on the computer, but I knew I needed to get this kit posted up!